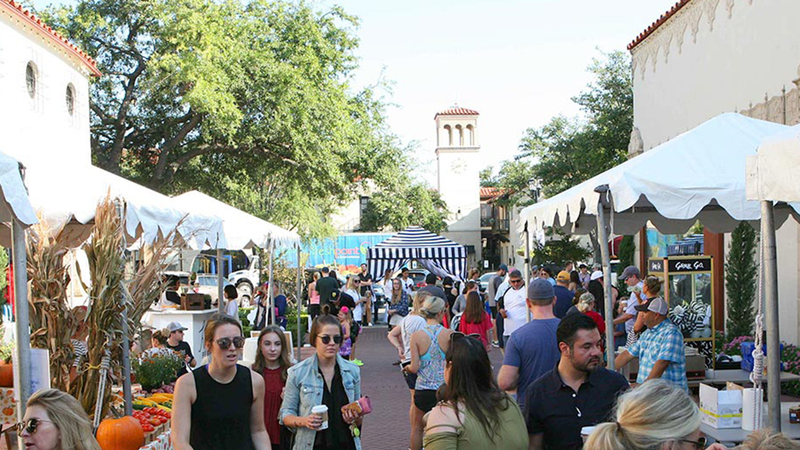 DALLAS, TX (March 15, 2017) – Back by popular demand, Highland Park Village LOCAL returns this spring with a carefully selected lineup of artisan goods, games and live entertainment beginning Saturday, March 25, from 8:30 a.m. – 1:00 p.m. Following the community event’s celebrated debut in September 2016, more than 15 of Dallas-Fort Worth’s favorite foods and goods vendors will be featured at the charming seasonal neighborhood market. From Naturally Curly Cook’s crave-worthy kolaches and quiches to Becerra’s Tamales that warrant a waiting list, LOCAL will feature the community’s Saturday morning staples and introduce new must-haves including Designs by Diana’s small batch pickles, jellies, relishes and more! Texas sourced olive oils and locally handmade soaps and candles return to complete the selection of delicious and convenient goods, along with newly launched gourmet flavored popcorn from Sweet Virginia’s, a selection of leather bags, striking accessories and ceramic goods from Ora et Labora Collection, and hand-churned body whips, serums and oils from The Whipper’s Will. Different interactive games each month will add to the festivities for kids (and parents) to enjoy, along with face painting and live performances by local musicians. Highland Park Village is a favorite among locals and guests from around the world alike, as it has been for many generations. Built in 1931 and widely regarded as the country’s first true shopping center, the Village is internationally recognized for its architectural significance and mix of the world’s best-known upscale retailers including Akris, Alexander McQueen, Balenciaga, Carolina Herrera, CHANEL, Christian Louboutin, Dior, Ermenegildo Zegna, Escada, Harry Winston, Hermès, Jimmy Choo, Ralph Lauren, Stella McCartney, Tom Ford and more. Highland Park Village offers a range of complimentary services for our guests including complimentary personal shopping and valet parking. For more information about Highland Park Village visit our website – www.hpvillage.com.